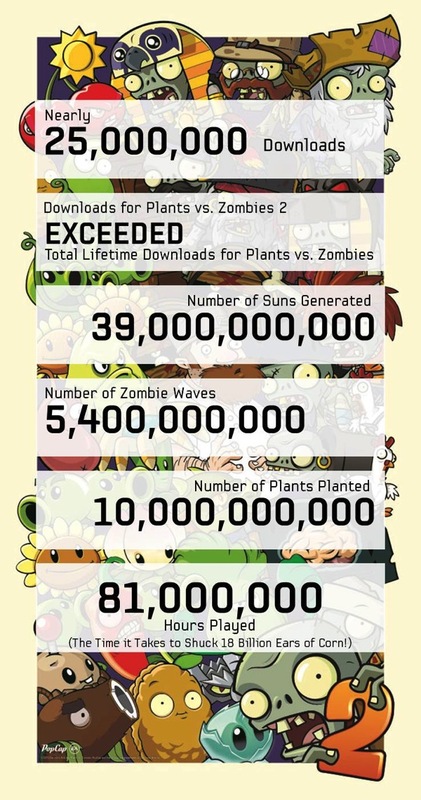 EA has announced Plants vs Zombies 2 has become a smash hit, soon to reach 25 million downloads worldwide. The game has already exceeded the lifetime download numbers of the original game from 2010 and so far the company says the game averages a rating of 4.5 out of 5 stars. The game quickly become the top free download in less than 24 hours after its worldwide launch. Click here to download Plants vs Zombies 2–it’s free.